How to start your own team. There's many ghost hunting tools being used these days. More than what I have currently listed on this page. I have only listed what our team has at this present time. While some of these can be expensive, there are a few cheaper alternatives such as a basic compass for an EMF detector, & dowsing rods have been used by various walks of life for centuries. Most any motion detector can pick up on spirit energy so even driveway alerts, & various other motion detectors can be used. If you suspect a child ghost, motion sensor dolls are great to encourage interaction. While of course the more expensive tools are nicer, such as the motion detector that allows you to connect various units throughout a building & each with an option to record an audible message alerting you to which room has detected movement, these are not always an option for the wallet. If you're wanting to ghost hunt start out small. Buy only a cheap tool or two to begin with & make sure this is for you. I have seen many post from people trying to sell hundreds of dollars worth of equipment because they thought they had to have it all, only to find out that ghost hunting was not for them. Also, keep in mind that this is not a money making career, nor is it all fun & games as many tv shows appear. There are many real dangers from very real spirits. People & animals CAN & DO get pushed, scratched, sick, & hurt by negative spirits. Spirits have also at times been known to follow an investigator or individual home as well. We always say a prayer of protection before each investigation. Doors can be opened to unwanted spirits when using ouija boards & on rare occasions, most any form of contact. For this reason, please learn how to protect yourself, your home, & those with you before attempting any type of ghost/spirit hunt. I also urge you to ask yourself "why" you want to ghost hunt. Is it because you want to help people &/or any bound spirits? Or is it because it seems to be exciting & fun & games? If it's for the second reason, I highly recommend finding something else to do with your time as there are very real dangers involved. When investigating, always remember to stay calm & not allow fear in as negative spirits feed on this & will increase their activity & strength. Take authority over anything negative, but do not at anytime provoke. Not only is this very disrespectful to any disembodied soul, but it will anger negative spirits who will usually lash back at you & cause harm. Never investigate alone either. Always have someone with you in case help is needed. Always get permission before going on any ones private property, or even in parks or cemeteries after dark as these are usually closed right at dark. If you do choose to start investigating for others, writing up a waver form is highly recommended. Also, if you wish to get permission to go on certain private or public property, some will prefer that you sign a waver that you will not dispute them for anything that happens as well. Most teams feel these forms are a must & we do use them in our team. Another form that you will want for your team is a questionnaire form. This can help you evaluate the situation & determine what the cause of possible activity is coming from. If you need help in deciding what type of questions to ask, please feel free to contact us & we will be happy to share this. You will want to get word out that your team is available. You can make business cards using a basic graphics program such as Print Artist, or Print Shop. You can purchase special business card paper that is already perforated, or I recommend using a heavy card stock & cutting them using a cutting board. This will give your card more of the heavy durable feeling & clean cut edges of a professionally made card. Or you may choose to have them professionally made. Most places will allow you to draw up your own logo & they will include it on the card. Once your cards are made, hang them around town on public bulletin boards. You may also choose to make up flyers & place them on windshields (a good time to do this is during special events such a fair or such). Make a website. There are different free web making programs available. We have chosen to use weebly.com It's easy to use & gives you some nice options. If you choose to increase those options, they also have a plan that you can choose to pay for. Also, to help get word out, I highly recommend listing your site on http://www.paranormalsocieties.com/add_a_society.cfm . This site is free & has been very helpful to us. Also, facebook helps get word out. You can make a site page for your team. To help get word out about it, it has become a common courtesy between investigators to go on each others page & "like" to give each other support. This field should never be done for competition, but to help others & prove the existence of the paranormal. We should all be working together towards this goal. Many use twitter these days & most investigators on there also use the same courtesy in "following" each other. It may take patience in getting your group started, but in being persistent, polite, genuine, & respectful, your team will begin to build. Best wishes to you! 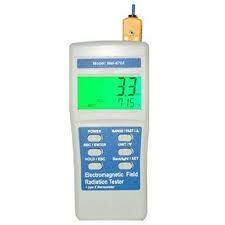 The Mel meter is used by many paranormal investigators. 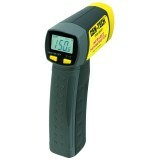 It measures EMF & temperature "cold or warm spots" simultaneously. It is the only instrument that can do this. It measures ELF down to 30Hz. It is believed by many that spirits do emit an extremely low frequency (ELF) EM field, which commonly registers between 2.0 and 7.0 mG in strength. Typically, anything below 40Hz would be considered part of the ELF range. The Mel-8704 was designed to address this ELF range, and is actually 20Hz lower than a KII's 50Hz bandwidth. It has backlight for night display. EMF display and ambient temperature are on the same screen. Both measurements can be read from 10' to 15' away. The display can be turned on or off manually for display viewing in dark areas, and it is also bright enough so that it can be used in total darkness. Illumination of objects up to 8' away is possible with this special display once your eyes become adjusted to the light. 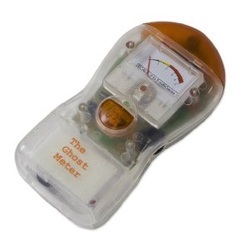 Made popular by its appearance on the television show "Ghost Hunters," the device is sold under the brand name "K-II Meter". It's another EMF detector ( electromagnetic field detectors). When the K-II meter is exposed to a magnetic field, an electrical current is induced within the device's circuitry. The relative strength of the field and the induced current is expressed visually with the 5-LED light-up scale. According to a theory believed by many in the paranormal research community, spirits of the deceased produce a magnetic field which they can manipulate at will. Based on this theory, an investigator can ask "yes", "no" questions out loud and then attemps to use any sudden fluctuations in the magnetic field as a way of communicating with a spirit. Another example of how it may be used is, - investigators have asked "If there are "spirits" here, please come close to this meter so that it will light up". This tool is often used by paranormal researchers to detect unexplained magnetic fields which may be associated with the presence of ghosts or spirits. 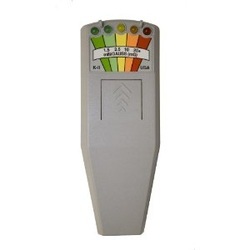 Very handy EMF detection unit to spot electromagnetic field oscillations and spikes. Measures in the 50-1000 Hz ELF range and the 1kHz to 20 kHz VLF range. A security camera is a great tool for ghost investigators looking to monitor various rooms or locations at one time while they are free to investigate other areas. The DVR records any activity. Our team currently uses one with 4 channels & 4 cameras. Cameras with night vision are are huge plus since most investigations are done in the dark. Different models are used by paranormal investigators/researchers. Night vision features are always a plus to have. Some teams also use infrared camcorders. EVP stands for Electronic Voice Phenomena. It's an event in which human sounding voices from an unknown source are heard on voice recording equipment. This can be found on both digital recorders, or on tape. Most often in this day & age, digital is preferred. With digital you can upload to a computer, cut out the hours of unneccessary recordings, speed up or slow down the speed to aid in being able to clearly understand the EVP. Sometimes amplification and noise filtering is required to hear the voices. At times, the mysterious voice may be heard in real time with our ears, but most often they are heard only on the recording. On the rare occasion when it's heard with ears & by recording, it is a great find in to confirm what was heard. Some EVPs are more easily heard and understood than others. They vary in gender, & in age from sounds of babies, up to adulthood. Tone & emotion also vary. They are most often recorded in single-words, phrases and short sentences. Other times they are just grunts, groans, growling (growls are never a good sign & experienced help should be sought if you capture this) and other vocal noises. EVPs are recorded speaking in various languages. 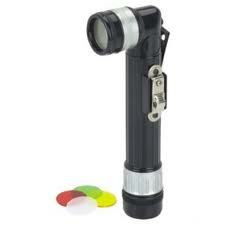 A compass is one of the least expensive pieces of ghost hunting equipment, but included as one of the most useful. Not only are they an excellent navigation tool, they can be affected by paranormal activity. They easily detect electromagnetic energies as the compasses tend to go haywire & in some cases, will begin spinning wildly when activity is present. Seeing how paranormal presence can drain batteries & completely shut down function of battery & even other electrical devices, the compass can be very useful since it requires neither to function. In fact, until an investigator can readily afford an electromagnetic field detector, a simple compass works nicely. (Note: Use an old school compass rather than an electronic one. One with a glow in the dark needle can be helpful.) While this model doesn't have the glow in the dark needle, the flash light with red lense makes it a very useful tool for investigations when a bright light is not wanted. We have had some good results with this model even though it's pretty cheap in price. ghost. Our team uses a variety of digital cameras during our investigations. brighten making the proof much easier to see. It's important to purchase a digital camera that offers a lot of storage so options of a large SD card is a good thing. One that is of considerable quality & a high megapixel. With high megapixel this makes your photo much more clear when enlarging for better visibility. Pixelation can comepletly ruin a good photo. When using a digital camera it's very important to have plenty of good quality batteries on hand. The P-SB7 is a mini size Spirit Box the size of an MP3 player for real time communication. The P-SB7 made its premier debut on Ghost Adventures "LIVE" show from the Trans-Allegheny Lunatic Asylum on October 30, 2009 where it was used by Chris, a Sensitive, Paranormal Investigator and expert in the Paranormal field. The P-SB7 provided responses to his questions in real time over a 40 minute segment of the show. 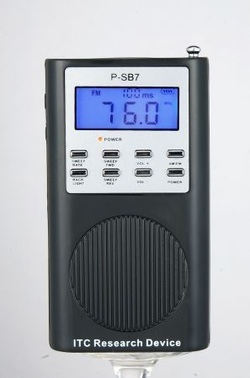 When used by a properly trained individual, under certain circumstances, the P-SB7 will provide results similar that of an EVP recorder, but in real time. The P-SB7 utilizes a milli-second adjustable Forward or Reverse frequency "sweep" technique coupled with a proprietary high frequency synthetic noise or "white noise" distributed between frequency steps. A bright EL back light display is ideal for viewing in the dark. The P-SB7 is intended to be used by experienced investigators to help in the field of paranormal research. the temperature of the chair seat across the room - NOT the temperature around you. source of that. Point the infrared thermometer at every vent and window to see if colder air is coming through. Don't get confused! Some infrared/non-contact thermometers do not have a laser on them & some models do come with a probe as well, which will take ambient room tempertures or allow you to aim the laser across the room at a certain object. Sometimes objects themselves are the source of the haunting. Not always, but many times, a temperture change can be noted from these objects. Make sure to read the descriptions on the device before purchasing. Ours does not have the probe, but when used with the Mel Meter (which includes room temps), it works great! Other items we use include white sage (explanation of white sage is given on bottom of Ghost Info page), cedar, ointing oil, holy water, psychic abilities, prayers, & of course our faith. While we don't adhear to, or bound by any one religious tradition, we believe strongly in only one true God & his son Jesus Christ as our Lord and Saviour. While we have our beliefs, we will never force or critize clients that we try to help.